"Sensory" has become such a buzz-word lately. As a parent you may be wondering what exactly is sensory play? Does it always involve a huge mess? And why is it important for your child? Is Sensory Play Always Messy Play? A quick Pinterest search for "sensory play" yields photo after photo of play-doh crafts, water table activities, bins of rice and beans, gak, goo, slime and more. These are all great examples of TACTILE sensory play - play that stimulates discovery and learning through the sense of touch - and much of it is indeed a bit messy with babies and small children. BUT sensory play can relate to all the senses - including vision, hearing, taste, smell, movement (vestibular sense) and pressure & stretch (proprioceptive sense). So, fear not, fellow parents! Not all sensory play involves scraping gak off your walls or picking dry rice out of your carpet! What makes something "sensory play"? Being rocked in a rocking chair stimulates the movement sense, but having to rock yourself in a rocking chair requires active engagement and purposeful movement and would be sensory play. Placing your hands in a sand box stimulates the touch sense but having to find little animal toys buried in the sand requires more skilled use of the touch and vision senses and would be sensory play. 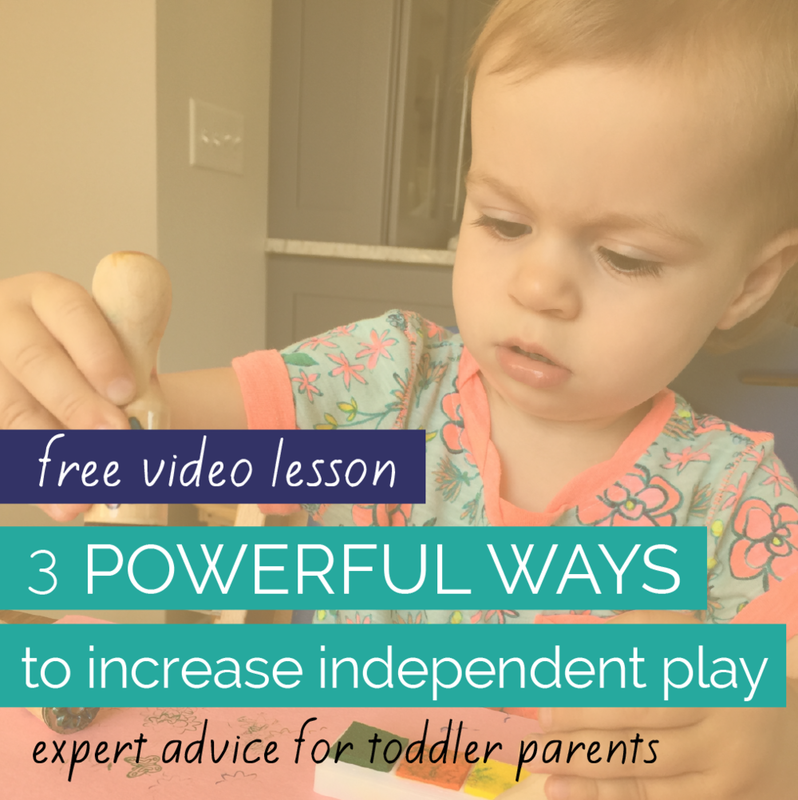 Once you understand these concepts of active engagement and skilled responses, you'll be able to start looking at your child's play and playthings through a different lens! Why is sensory play important for babies and kids? The only tools we have to make sense of our worlds are our senses. Having our senses give us accurate information about our own bodies, our surroundings, and our movements is critical for our safety, health, independence and happiness! More and more children are showing up in classrooms and therapy clinics with what are called Sensory Processing Disorders - sensory systems that aren't giving them accurate information. You can imagine that this can contribute to a child's anxiety, poor coordination, difficulty learning and paying attention. While the exact causes of Sensory Processing Disorders aren't clear, sensory play has been proven beneficial for ALL children. Sensory play gives kiddos the chance to practice and learn how to process information from their sensory systems accurately. Sensory play allows kiddos to experience new sensations in fun, safe and pleasurable ways. What does sensory play look like for babies? When we think about sensory play for babies, we need to look at what "skilled and purposeful responses" look like for infants. Visually focusing their eyes on an object or following a moving object are skilled and purposeful responses for a newborn. Moving the arms, legs and head are purposeful in the first weeks of life and then develop into reaching for, batting at, and grasping toys. One of the primary skilled responses for babies after the first few months is bringing objects to the mouth. Giving your little one plenty of opportunities to look, move, reach, kick, touch, mouth, grasp and engage with a wide variety of toys and objects is sensory play for babies. 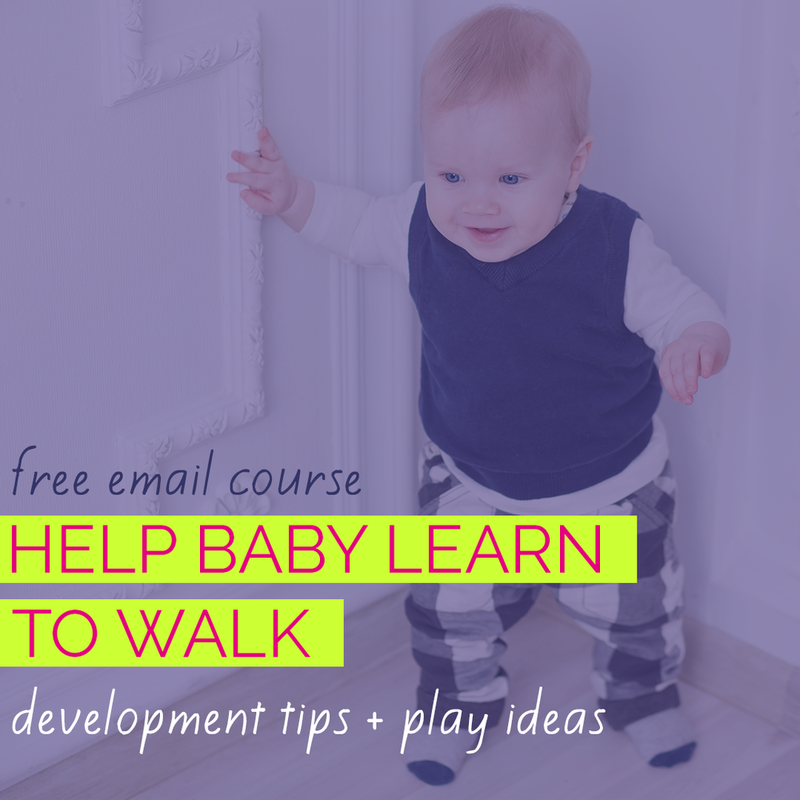 The first step is getting them out of restrictive Baby Holding Devices that support them passively and onto the floor or onto your lap to actively play and explore. The next step is offering a variety of materials to touch, look at, grasp and mouth. Using household items as playthings is a great way to branch out from all the plastic baby toys. Here's a fall-themed sensory play activity that's keeps our 4 month old busy. I got a few ornamental pumpkins and gourds at the grocery story, washed them really well and used an emory board to file down the pumpkin stems so they weren't sharp or scratchy. Our little one rolls them around, grabs them, and eventually always winds up drooling and sucking on them. He's still little so he's best able to grab them when he's belly-down over a Tummy Time pillow for support and the pumpkins and gourds are corralled in a shallow pan. Feeling overwhelmed by thinking up sensory play activities for babies? CanDo Kiddo can help! Start simple... Learn 11 super simple ways to add sensory play to baby's daily routines. View all sensory development posts. 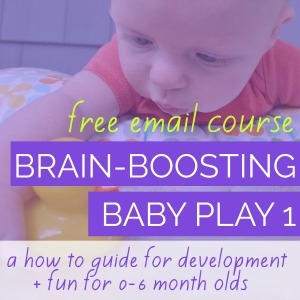 Over 85 simple ways to promote healthy development through play!